I am quite sure that many of us have fond memories of a gingerbread cookie, and the image of the gingerbread man will remain ingrained in many a brain for the years to come. 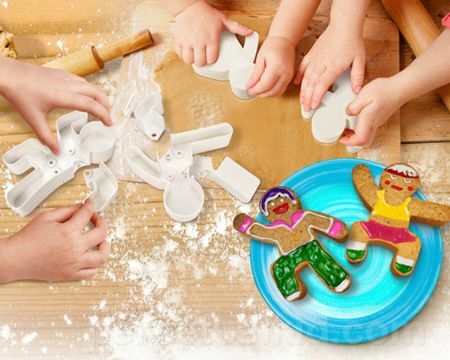 After all, gingerbread men do seem to be extremely cute all the time, and if you are an experienced hand in the kitchen who knows the oven better than your other half, then surely you would not want to turn down the chance to go a little bit crazy in your next baking expedition with the $14.99 Gingerbread Action Man Cookie Cutter! Each cookie cutter set would be accompanied by the base body, where you can choose from a trio of different poses for each arm and leg. Let the kids participate and see how their imagination can run wild in a safe environment for them to play with their food!